Here is a piece of history from one of the most important Union Generals of the Civil War. 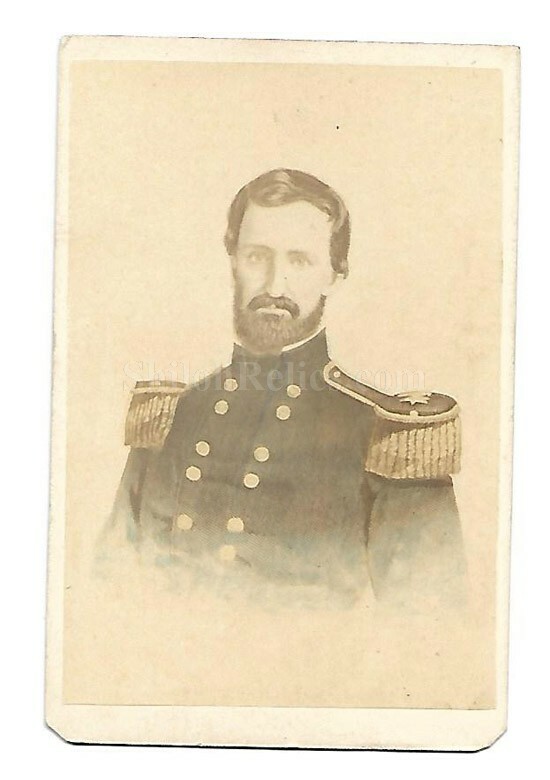 It is an original CDV image of General William Starke Rosecrans (1819-1898). 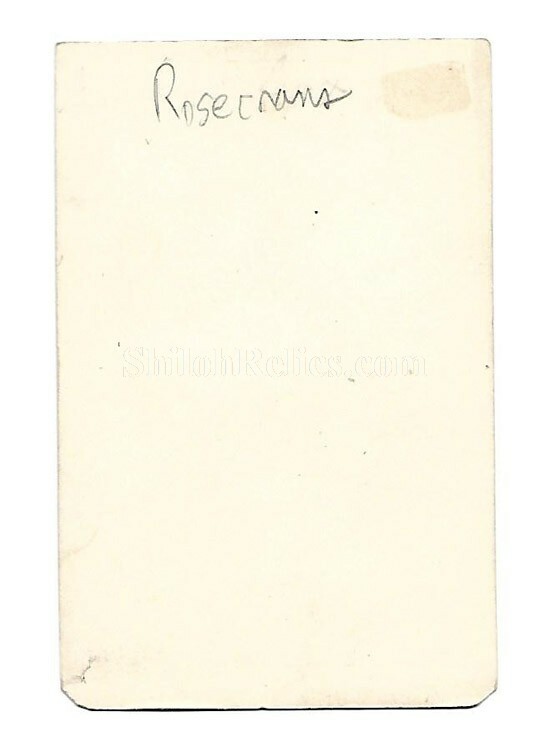 Rosecrans was born in 1819 in Delaware County, Ohio with little formal education but a lot of desire and willpower. He went to work at age 14 and got an appointment to West point where he graduated in 1842 with a rank of fifth in his class. He was on the staff of General McClellan just after the firing on Fort Sumter and because of his previous military experience he was made Brigadier general Rosecrans of the regular army on May 16th 1861. Rosecrans spent the majority of his service in the western theater including the battles of Corinth, Iuka, Murfreesboro, Chattanooga and Chickamauga. The last of which was a devastating Union defeat for which Rosecrans took the blame. Then he was sent to command the Department of Missouri. He resigned form the Regular Army in 1867 and then served as a minister to Mexico under President Johnson in 1868. He served in Congress from California from 1880 until 1885. He dies on March 17th 1898 and was initially buried in California and then later moved to Arlington National Cemetery. 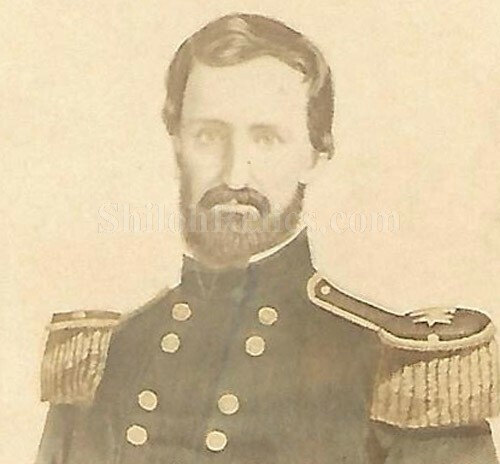 This image shows Rosecrans during the Civil War in his dress uniform and was tinted by the printer. This is a nice clear image of the General.